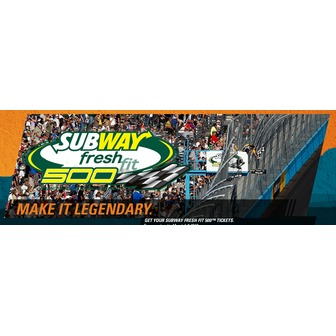 Looking to make your plans for the 2013 March SUBWAY Fresh Fit 500™ race weekend at PIR? Mark your calendars and set your watches; below, you'll find the full fan schedule of NASCAR in 2013 at ZOOMTOWN, U.S.A. ® Phoenix International Raceway. 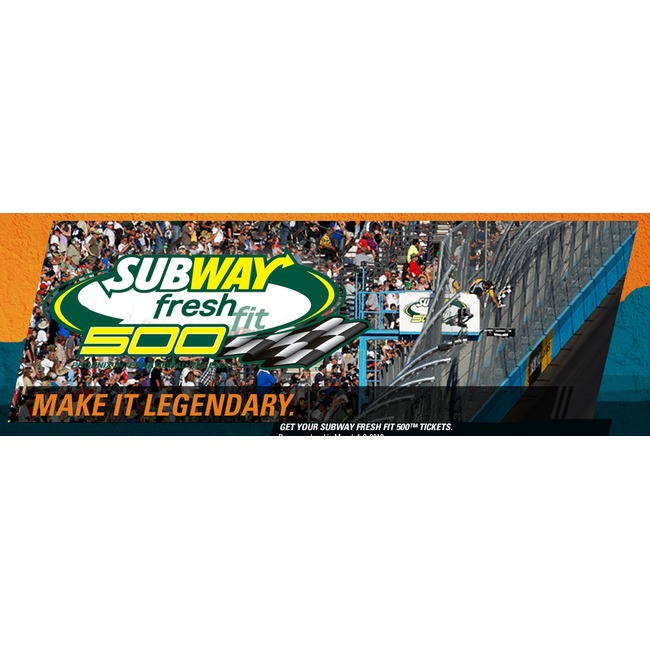 The Subway Fresh Fit 500 is a NASCAR Sprint Cup Series stock car race held annually at Phoenix International Raceway in Avondale, Arizona. A 312-lap event that is one of only four NASCAR Cup Series events measured in kilometers rather than miles or laps (joining the fall Phoenix race (500km) and both road course events (both 350km). The 500km race currently starts at 12 pm and will finish during the day. Come on out and get your need for speed.